Student transfer is the anticipated movement students consider between education providers and the related institutional processes of a student who actually offer the same medical program and of the same level of the year. Whether you have finished a couple of university study years in your university or elsewhere a student can change without losing some credits (accomplished studies) if the student has passed. 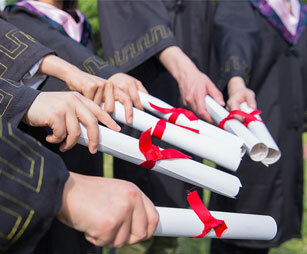 Each program at any Chinese universities has its own requirements for entry. Before you start your application for transfer, you should know entry requirements carefully make sure that you are able to meet the requirements and provide copies of the relevant documents. The requirements needed for Chinese universities are applicant must be a real student who holds a student visa, no criminal records. Transfer students need to provide the agreement certificate from the two universities. In addition to all required documents, the medical transfer student must include also a copy of original transcript of records, confirming year of study, issued by the university in which the applicant has studied, presenting the following information: course title; the workload of all studied courses (the number of lectures, practices and seminars) for each course taken, the final examination mark in each subject; the grading system in the respective universities, and financial guarantee for the payment of tuition fee and other related fees. After meeting all these requirements the student can now release to make the transfer successful journey to the preferred university.